Victim of dangerous and/or defective products injury? Speak with a San Diego product liability lawyer for filing a product liability lawsuit in pursuit of financial compensation of his or her damages. Product liability lawsuits arise when an individual user or consumer is injured by an unsafe product. When a product is unsafe and causes injury to a consumer or user, that individual can file a product liability lawsuit in pursuit of financial compensation or his or her damages. With the help of our San Diego product liability attorneys, we can help you hold careless manufacturers responsible for their actions. Any party involved in the introduction of a product into the marketplace has an explicit duty to ensure that the product is safe. If the product was not safe and causes injury then those involved with bring the product to the market may be liable. This includes designers, manufacturers, distributors, marketers, and vendors, as well as the party responsible for warning consumers of any dangers that may be associated with a product. 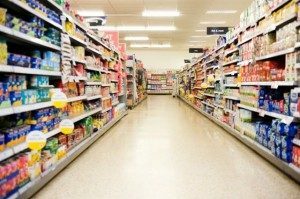 If a person or company is found to be negligent in this duty to consumers, there may be grounds for a product liability lawsuit. of the defendant, it is only necessary to prove that the product in question is unsafe or defective and that it caused harm to the plaintiff(s). Any time when a company is found to have violated its own guarantee related to the performance or quality of its product, a breach of warranty product liability lawsuit claim may arise. Breach of warranty claims apply to both express guarantees (like a guarantee that a product is safe) as well as implicit promises that lead a consumer to assume a product is safe to use. contact Simpson Law Group today to get insight on how to recover the compensation you deserve.